Our third annual Thanksgiving meal packing event was led by local volunteer, Alison Babka Beard, with the support of South End families. 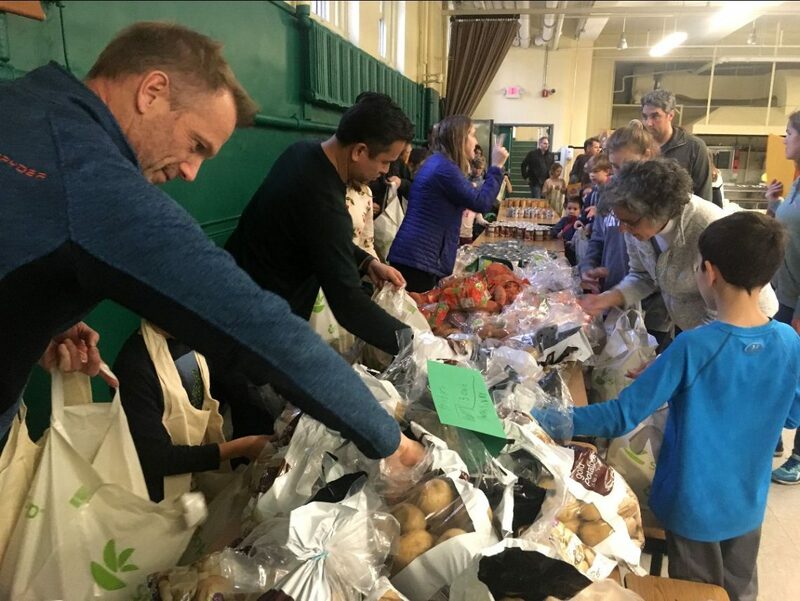 Families gathered at Cathedral High School on November, 17th to assemble 100 Thanksgiving bags filled with Thanksgiving food, a Stop & Shop gift card and hand-crafted cards from children. Project Place distributed these Thanksgiving bags to community members in-need this holiday season.